Google is trying to bring the price of its last year flagships to a more appealing amount, but only for a limited time. 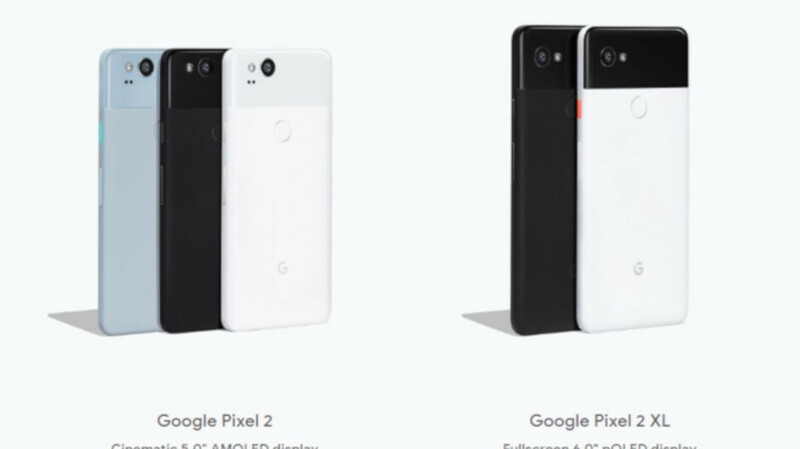 The search giant announced recently that both the Pixel 2 and Pixel 2 XL have been discounted until the end of the year. Those who want to buy the Pixel 2 or Pixel 2 XL will have to pay just $600, regardless of which one they will choose. It's a bit weird that Google has decided to have them both on sale for the same price, even though the Pixel 2 XL is the better device. Still, if you simply want a slightly smaller phone, the Pixel 2 is a perfect choice. Otherwise, you'll probably want to take advantage of Google's offer on the Pixel 2 XL and save a lot more. Speaking of price, the Pixel 2 is now available at Google Store for just $600, $50 off MSRP. On the other hand, the Pixel 2 XL has a bigger $250 discount, but the same $600 outright price. You can choose to get either of the two unlocked or via Google Fi and Verizon. Also, you have the option to pay $24.96 per month for 24 months for the Pixel 2 or Pixel 2 XL, if you can't afford to pay the full price outright. "Just" $600. Being handed phones to review for free has horribly skewed your perception of pricing.